On February 19 Tencent, Chinas largest Internet service portal which is renowned for its instant messenger product QQ, published an updated report (Chinese only) on the user numbers of its social networking service QZone (http://qzone.qq.com). According to the report more than 200 million people were using QZone as to Tencent statistics from January 31 2009, leaving behind the leading international players like Facebook (that recently announced 175 million users) and MySpace. Additionally on February 9, the company's instant messenger QQ recorded more than 50 million concurrent users, setting another "world record in this category" as the report currently only available in Chinese language states. Below is a rough one to one translation of the original press release. Recent data shows, that not only is the user number of Tencent the highest in the world, but also do they represent the most active community in the whole industry. Within half a year QQ managed to have 40 to 50 million simultaneously active online users. 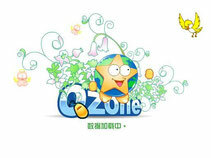 Among the Qzone users, 150 million update their accounts at least once a month. Writing blogs, sharing photos and pictures, and making new friends are among the most popular online applications. 4 million users are uploading photos on a daily basis, the number of photos uploaded averages out at 60 million daily, and 9.5 million new blog entries are registered everyday. Industry analysts believe that Tencent’s instant messaging tool QQ is a crucial factor leading to the high loyalty of the users to Qzone. Last year’s worldwide leading Social Networks MySpace and Facebook announced their plans of launching their own Instant Messagers. The same is true for Chinese domestic players such as 51.com, XiaoNei and others. IResearch Internet analysts believe that Tencent’s expertise in the field of IM was an essential factor for creating their comprehensive SNS Qzone, eventually becoming China’s most popular online portal. Because SNS provide users with the tools to connect and communicate daily through blogs, mails, and so on, for many people nowadays SNS have become pretty much an indispensable part of daily life. Thus, industry observers believe, SNS represents more a new era in the world wide web than just some current trend. Tencent, Sohu, Baidu and other chinese Internet giants have set their sights on this enormous market potential, and are well prepared to fight for a bigger market share. Tencent released the beta version of QQ2009 on the 15th of this month, adding features like “Friends Impression” and others in order to increase and improve the current Qzone attributes. Tencent tends to speak of “testing the waters” in the SNS industry. In the meantime Tencent launched its international portal just a month ago. The development model features significant differences between the international and the Chinese IM QQ, according to company’s sources. Tencent CTO Xiong Minghua said, QQ has become an interpersonal relationship managing software, administrating the social contacts between a countless number of people. Xiong Minghua thinks, that at the moment users have three different kinds of online social contacts. On the first level, there are QQ friends and Qzone friends; on the second, people who share the same interests and hobbies; and on the third level people of same age, from the same city, etc. Tencent is structuring its portal based on this three dimensional approach. Xiong says, that Tencent will enhance the combination of these three categories, to fulfil the user’s needs and requirements and create the most sophisticated SNS by gradually refining the relationship management between users. In the future Tencent is planning to update products and services for its Internet-based applications more regularly, and the company will shift their focus more on white-collar employees as well as urban area citizens. Tencent is combining applications such as chatting tools, online entertainment and gaming, as well as leisure activities, like QQ Music. Recently opening its platform also for Ecommerce applications, such as paipai.com and tenpay.com (similar to Paypal). Through its unstoppable development, and continuous addition of new features, Tencent is trying to keep its hard-earned world leading position in the SNS market. At the same time companies like Web2Asia have started offering Tmall International Global Cross-Border China E-Commerce Sales. Hope we can bounce ideas of eachother. hello , how are all , im not chinese but use QQ bcs i like it and interest it and can communicate with chinese people from here . 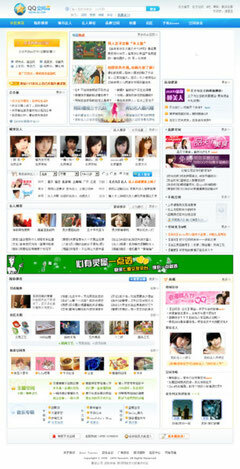 It's so nice, like facebook I mean the feature but I am still confuse to use qzone, I think all of U know what I mean. Ya, the largest problem is language, they still launch in chinesse..... actually I am so interesting to use it..... can u help me to make tutorial for using qzone??? My kids are just curious about this large social network but they feel it hard to start because there's no english version. What a pity!